At Spacelabs our highly experienced and well trained relocation teams facilitate office moves and churns of any size. Move, planning, coordination and management. 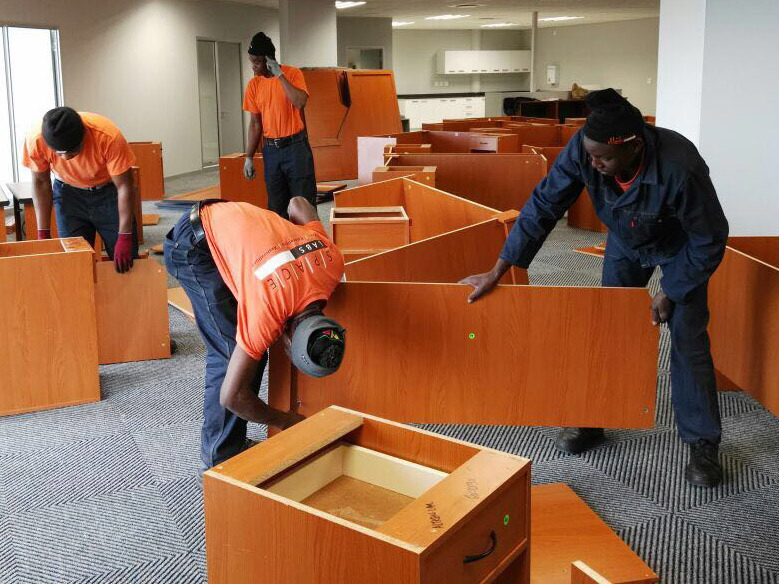 Dismantling and reassembly of office furniture and filing cabinets. Systematic packing and unpacking of documentation. Spacelabs Western Cape was very excited to be able to move Schoeman Law to their new offices in Thibault Square. This entailed the relocation of their existing office furniture, kitchen and boardroom equipment, IT equipment, filing cabinets, files and artwork. We wish Schoeman Law all the best in their new offices with an incredible harbour view. Careful relocation of computers and servers. Thorough cleanup of the offices post move.